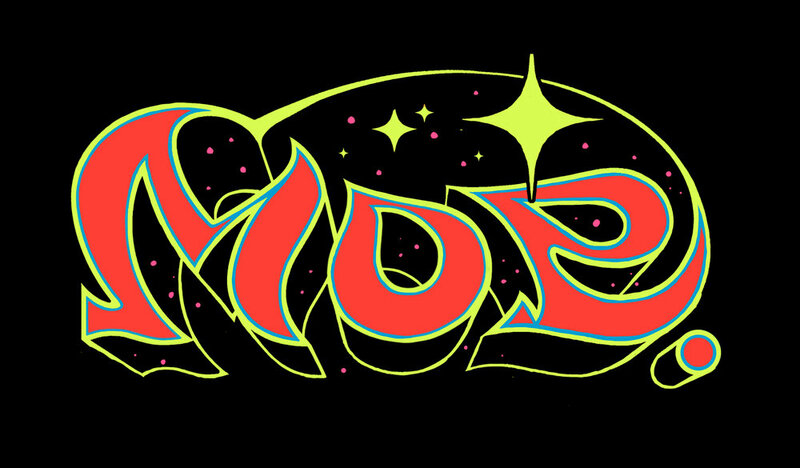 I created a one off, tee graphic for the band MOE for there “Night at the Arcade” show in Philly. The show was held at an old arcade and Moe went all out. The good folks at SELECT asked me to do something with a moth and i went right to being inspired by old arcade cabnet art. I also was able to pull the “Moe.” type out so it can be worked into any other merch options. The “kirby krackle” was key!